When you design a custom home office, you get to create not only a highly efficient and productive work area, but also an attractive piece that reflects your personality and makes you feel more comfortable in the space. More Space Place of Jacksonville and St. Johns is here to help you design and install the actual office, so the fun part can be left to you! Decorating your home office with your favorite pieces or adding custom touches to the design allows you to achieve a truly personalized final product. Before you get to personalize your office, the first step is to create your design. When you schedule a free in-home consultation with one of our experts, we come to you and take accurate measurements of your space while discussing what you’re looking to accomplish. 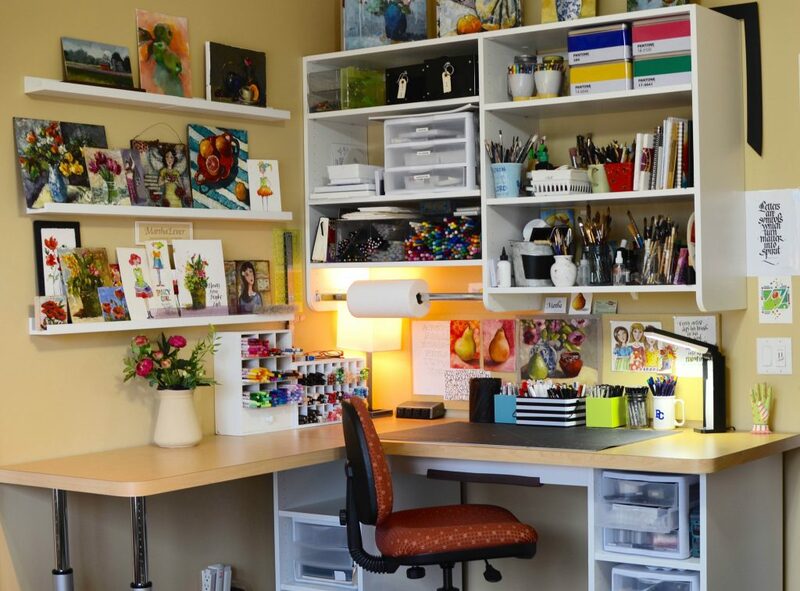 Taking inventory of your office supplies and getting to know what type of workspace you need will help us create a comprehensive design built around your life. You’ll be able to incorporate all kinds of storage elements, including a desk, drawers, cabinets, shelving, filing cabinets, and more. Our custom home office furniture is also available in a number of different colors and finishes to help achieve the look you want. Once your custom home office is installed, it’s time to personalize your setup and make it your own! Display your favorite photos, special awards, and other decorative items on the open shelves and other surfaces. Hang framed pieces or canvas artwork on the walls around your desk. Find nice-looking baskets or little containers to store your smaller items on shelves. Keep a vase of fresh flowers on your desk for some added color. A stylish desk lamp can help create calming mood lighting if you’re not a fan of the harsher overheads. There are so many possibilities when it comes to decorating the custom office in your Jacksonville or St. Johns home, and the decorating step can be the most fun part of the process. If you’d like to learn more about creating a custom home office design, contact More Space Place Jacksonville today, and schedule a free in-home consultation.